A debut novel tackling big questions. Landfill has lived his whole life as a scavenger, running with wooflers, swimming with turtles and feasting on fresh gull. Old Babagoo has always looked after him, on one condition – follow his rules. NEVER COME LOOKING OUTSIDE. NEVER RISE ABOVE THE WALL. But despite the dangers, Landfill longs to see Outside. And some rules are made to be broken. The first ever picture-book retelling of Charles Darwin’s On The Origin of Species. Featuring 26 creatures from around the world, each amazing animal architect tells its own ‘micro story’ about its impressive architectural skills in this delightfully unique wildlife book. A unique collaborative novel by seven bestselling and award-winning YA authors. When they got in the lift that morning, they were strangers. Sasha, who is at the UK’s biggest TV centre desperately trying to deliver a parcel; Hugo, who knows he’s by far the richest – and best-looking – guy in the lift; Velvet, who regrets wearing the world’s least comfortable shoes to work experience; Dawson, who isn’t the good-looking teen star he was and desperate not to be recognized; Kaitlyn, who’s slowly losing her sight but won’t admit it, and Joe, who shouldn’t be there at all, but who wants to be there the most. 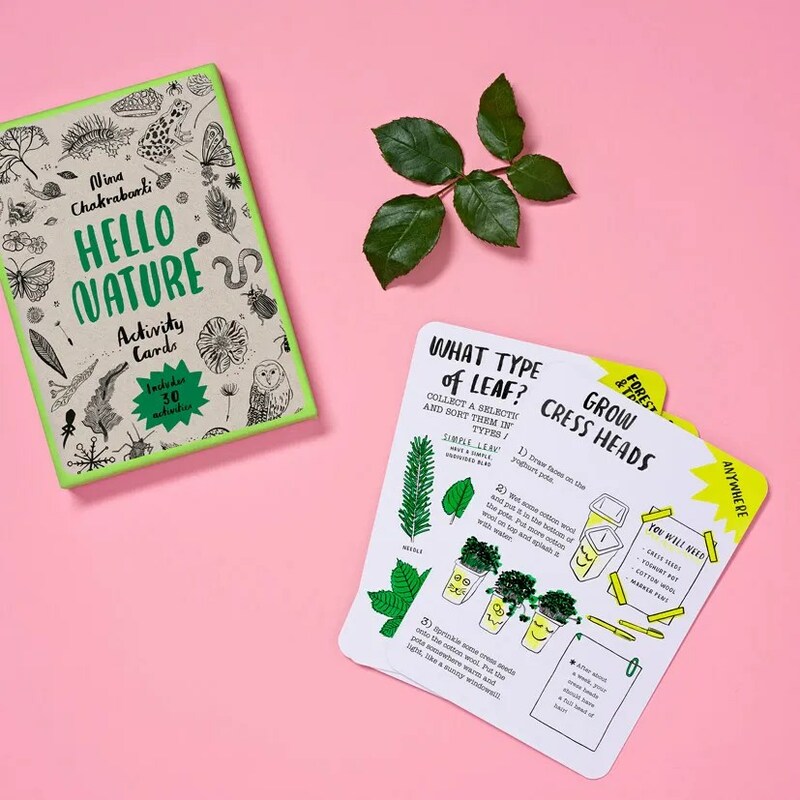 Really useful set of nature activity cards for primary aged children (from Laurence King Publishing), pleasingly designed by the illustrator Chakrabarti with inviting accessible instructions and information written by experienced non-fiction author, Anna Claybourne. Perfect to share between groups of children and a handy aid for KS2 classteachers. Two board books (the first in a new wildlife series from QED), introducing nature to toddlers – simple, entertaining storylines with an animal character as the focus. Bird is illustrated by Olivia Cosneau who lives and works near Nantes, France. Rabbit is illustrated by Magali Attiogbe.